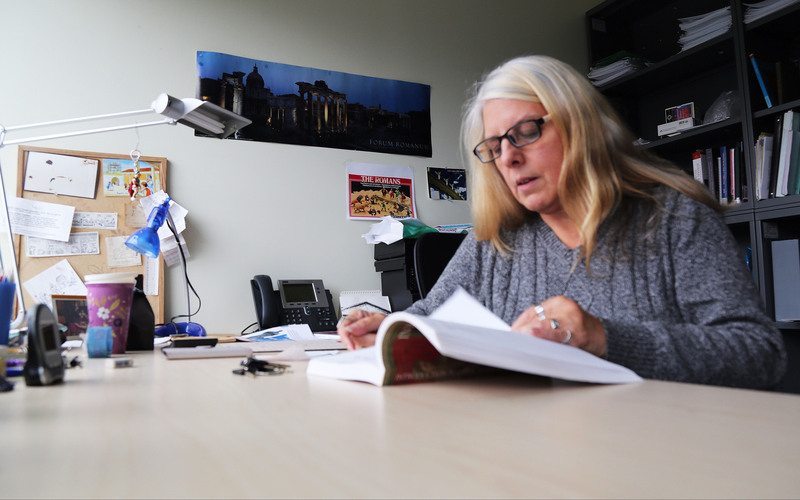 There are more than 400 sessional lecturers at UBC who work with less job security than tenured professors. Charmaine Gorrie has been a full-time instructor at the University of British Columbia for 20 years teaching classical history and Latin. Yet she has spent most her career working on short-term contracts. That’s because she is what is known as a sessional — someone who teaches but is not in line to become a tenured professor. She is one of more than 400 instructors like that at UBC, a group whose members are trying to get more job security from the university. Sessionals work on four- to eight-month contracts and are paid by courses taught. They are eligible for less professional-development money, less paid vacation time, and part-timers don’t receive benefits. Sessionals continuously face the possibility their contract may not be renewed or that they may receive fewer courses. Strikes in Ontario this fall drew national attention to contract faculty, but the UBC Faculty Association has long maintained agreements with the administration not to strike. Instead, the two parties bargain. The most recent agreement, ratified in August 2017, addressed contract faculty’s working conditions. That will allow more sessionals to get what Gorrie managed to obtain a few years ago, when she became a salaried lecturer with one-year contracts. This was part of the ongoing initiative to offer lecturers longer contracts and more guarantee of renewal. David Robinson, director of the Canadian Association of University Teachers, said these types of changes are important for contract faculty. CAUT estimates contract faculty in Canada on average make 67 cents for each dollar a full professor makes. Compensation for sessionals at UBC varies widely because of faculty-specific definitions of full-time, differing pay scales, and summer work. Currently, the minimum salary for full-time sessional lecturers in the faculties of arts, sciences and medicine is just over $20,300 per academic term. Full-time for these faculties means three courses per term. Part-time sessionals in these faculties might earn as little as $6,800 per course. UBC does not have a minimum salary for full professors and pay also varies by seniority and faculty. Some may earn less than $75,000 annually, while others earn over $300,000. Sessionals are also given lower priority for services like on-campus housing. Robyn Citizen has been a sessional lecturer at UBC in both film and Asian studies since 2012. She said that, while tenure faculty are put on the fast-track for on-campus daycare, she had a different experience. She said the part-time hours were helpful for taking care of her family, but added that, even though she is a sessional at both UBC and the Justice Institute of British Columbia, her family mostly relies on the income and extended benefits from her partner’s career. Charmaine Gorrie in her office at UBC, where she has taught for 20 years. Sarika Bose, another long-term sessional lecturer at UBC who teaches English, said decreased government funding played a role in the rise of contract faculty across Canada. UBC recognized that habit was becoming a problem and worked to make some changes in the 2017 agreement between the faculty and administration. Changes included increasing pay scales and benefits, establishing a minimum salary of $62,353 for lecturers on contracts between one and three years, and giving these longer-term lecturers the right of renewal. The pay scales for sessional lecturers will increase by two per cent for the 2018-2019 academic year. Even with the improvements, things are still not ideal. Lecturers say students can feel the impact most. Bose said sessionals expend energy on stress that could be put into teaching. Robinson, a sessional years before joining CAUT, recalled a student of his who couldn’t find references for graduate school since his long-term professors had been on contract and were no longer with the institution. Robinson added contract faculty were less likely to be critical of the administration or take risks in the classroom out of fear their contract won’t be renewed. 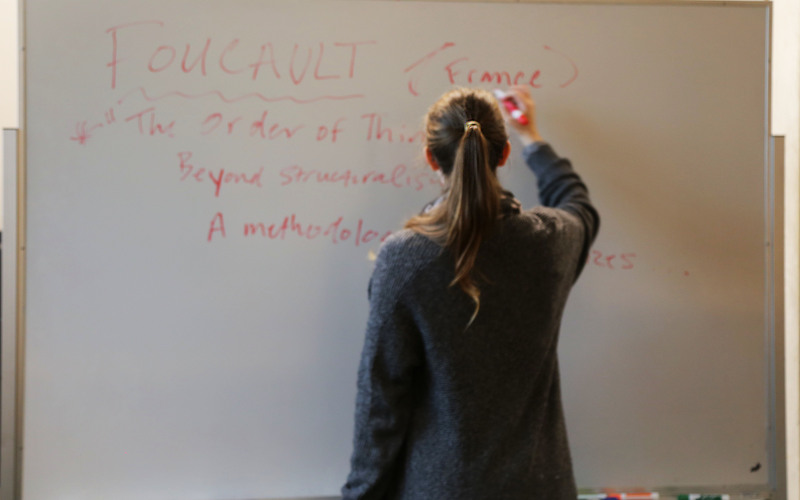 Gorrie said there is stigma to the term “sessional” that can keep instructors from telling students their position, even though most have years of experience and PhDs in their field.